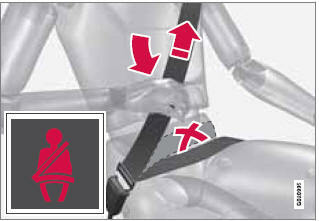 Seat belts should always be worn by all occupants of your vehicle. Children should be properly restrained, using an infant, car, or booster seat determined by age, weight and height. Volvo also believes no child should sit in the front seat of a vehicle. Most states and provinces make it mandatory for occupants of a vehicle to use seat belts.